For all you Cricket Crazy people, we have come up with a list of services, using which you can receive Free Cricket SMS Alerts. 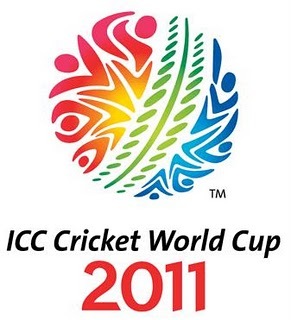 Cricket World Cup 2011, will commence on 19th February and I am sure you don't want to miss it. You can use any of the services you like to receive Cricket SMS Alerts for free. Alertrix - To subscribe, you need to send a SMS - CRI to 56070. You will be charged one time cost of sending a premium SMS on 56070 which may vary from Rs. 1 to 3, depending on your mobile operator, after subscription all the incoming crickets score alerts will be free of cost. You can also sign up for these alerts by visiting Alertrix.com. Apart from cricket Alertrix provide lots of other free sms alerts also. zestu - To receive Cricket Scores on SMS, you need to register with zestu by visiting zestu.com. Just like Alertrix zestu also provide a variety of Free SMS Alerts other than cricket. Once you sign up, login to your zestu account and choose Cricket Alerts to receive free Cricket updates on your mobile. SMSGYAN - To subscribe, you need to send a SMS - Worldcup to 56161. You will be charged one time cost of sending a premium SMS on 56161 which may vary from Rs. 1 to 3, depending on your mobile operator, after subscription all the incoming crickets score alerts will be free of cost. ZipDial - This service is a bit different from the services I shared above. To get Free Cricket SMS from this service you need to send any SMS. All you need to do is just send a miss call to 08030050055 and you will get the cricket alert. You will not be bombarded with unwanted SMSes this service sends you SMS only when you send a miss call to 08030050055. Join now and get Rs. 99 instantly, just for joining.